The Final Release of Gentoo Linux 2008.0 Is Now Available - Features a brand new Portage! After a long time in development, Gentoo Linux 2008.0 was finally released and it seems that its developers gave it a funny code name – "It's got what plants crave" – as Donnie Berkholz announced on the official Gentoo site. Gentoo's installer was upgraded and it can only perform networkless installations by using the ebuild tree and packages on the LiveCD. The devs have not released any LiveDVDs yet, but this might change in the future. The most important thing related to Gentoo 2008.0 is the migration to the 2.6.24 Linux kernel that brought with it a lot of fresh drivers and improved hardware support. Portage – "the heart of Gentoo" and its software distribution system – was updated to version 2.1.4.4 and brings with it some more new things like gcc 4.1.2 and glibc 2.6.1. The profiles were restructured, thus allowing the cleaning of redundancies, and providing a cleaner and easier to maintain system. The difference a regular user would notice is the fact that the profiles now appear in /usr/portage/profiles/ under default/linux rather than the old default-linux/ folder. Xfce took GNOME's place on the LiveCD to save some more space, as Xfce is somewhat smaller than GNOME. If you install Gentoo on your hard disk from the LiveCD, you will get Xfce as default desktop environment, while GNOME and KDE can be built from source. Xfce's latest version, 4.4.2, will be featured on the LiveCD. 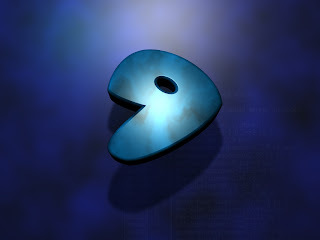 The development team decided to cancel the release of Gentoo LiveDVDs for x86 and x86_64 for the moment, as there were some problems in their generation. Don't worry, they might be released later and the devs will make sure you find out about the new LiveDVDs. To enjoy this powerful distribution, download Gentoo Linux 2008.0 right now from Softpedia.